If you were arrested or hurt in an accident caused by someone else, you likely feel scared and uncertain as to what your future holds. Both situations can adversely affect your life for years to come, if not permanently, so you need a professional on your side to stand with you during your difficult time and help you obtain the justice you seek. At the law firm of Edwards and Kautz in Paducah, Kentucky, we focus our practice primarily on criminal defense and personal injury law. Serving all of Western Kentucky, including Marshall, Graves and Calloway counties, the attorneys at our law firm possess more than 100 years of combined experience, allowing us to handle even the most complex and challenging cases involving DUI and other criminal charges, car wrecks and other claims of negligence, workers' compensation, and Social Security Disability claims. 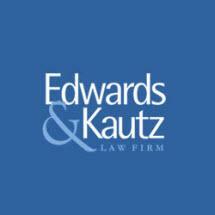 Widely regarded as some of the top criminal defense and personal injury attorneys in the region, the law firm of Edwards and Kautz fights hard to protect our clients' rights and liberties while helping them achieve the best possible outcome for their situations. Undeterred by hard work, we will do whatever is necessary and go the extra mile for those we serve, and, working as a team, we will combine our respective strengths as attorneys to build the most effective strategy on your behalf. Considering all that is at stake with your legal situation, you need to act quickly to increase your chances for success. By contacting our law office or visiting our website and taking advantage of our law firm's free initial consultation, you can begin the process of taking back your life and securing a brighter future for yourself and your family.